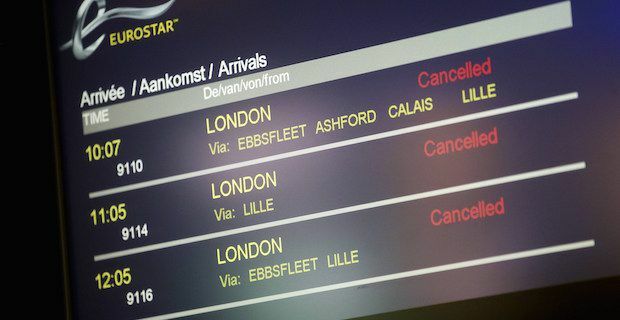 London's rail network is set to face severe disruption due to strike action next month after rail union leaders rejected a new pay offer from Network Rail. As a result, rail workers will stage 2 separate strikes in June meaning that many lines in the city will not be running. Members of the Rail, Maritime and Transport union have agreed to strike on June 4th and again on June 9th. The first walk out will be for 24 hours and the second walk out will last for 48 hours and will involve approximately 16,000 rail workers. Union members had originally threatened to strike on Bank Holiday Monday but that was avoided at the 11th hour after a fresh pay offer was made by Network Rail. However, the offer on the table was rejected out of hand despite promises of a 1% pay rise in year 1 followed by a further 1.5% rise in year 2. Mick Cash, General Secretary of RMT, explained the reasons for rejecting the deal saying "Our representatives have today rejected the pay package offered by Network Rail and, in the absence of any further movement from the company, that has left us with no option but to move to a rolling programme of industrial action." The strikes are designed to cause the most disruption possible with walkouts to take place ahead of evening rush hour meaning that in effect the rail network will be effected for 5 days in total. Cash added "Our members take the view that 1 per cent is wholly inadequate and fails to recognise the massive pressures staff are working under to keep services running safely at a time when the company is generating profits of £1 billion."